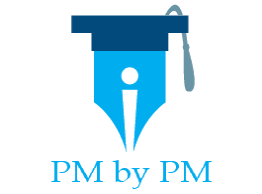 / Did You Know That Exam Fee Is Not PMP Certification Cost? You would know that PMI’s PMP certification is a costly affair. But how costly? What is the fee for the credential exam? How much expenditure is involved in the exam prep? How much money do you need to maintain the credential? You would find answers to all these questions in this post. PMP Certification Cost includes many components besides the PMP Exam fee. Out of the many expenses, training costs a lot of money. If you are not careful, your total investment may go through the roof. In this article, I have explained how much money do you need to attain and maintain the PMP certification. It will help you in preparing your budget. There is a fee for taking the PMP credential test. You need to pay $555 to the PMI during the application process. If you want, you can avail a small discount on $555. The fee reduces to $405 if you become a PMI member. However, you will have to pay additional membership & joining fee of $129 and $10 respectively in order to avail discounted test cost. Either way (whether you take the membership or not), you will have to shell out approximately $550 for appearing in the exam. But by taking the membership, you can reap many PMI membership benefits including free download of the the PMBOK Guide. You can refer to the following figure to understand the fee structure completely. Note: Most people apply for the Computer Based Test (CBT). But you can also opt for the Paper Based Test (PBT) under special circumstances. The fee for both CBT and PBT is $555. You have to have showcase 35 contact hours of formal project management education before applying for the exam. these hours can be gained from any project management training and not necessarily from a PMP facilitation course. You might already have the requisite hours through your college education or company’s training. How much are you willing to spend on 35 contact hours training? I would suggest you take a formal PMP orientation course even if you have contact hours from a previous project management program. It will improve your chances of passing the PMP exam. There are obvious pros and cons of each type of training modes. The training fee varies with the geographic location and type of training. Out of these the classroom programs are most expensive whereas self-learning courses are least expensive. Depending on your geography and the training provider, a classroom training can cost anywhere from $200 to $2500. A good instructor led online course can range between $200 to $2000. Lastly, a good self-learning course can range between $200 to $500. The digital copy of guide is free for the PMI members. But you can buy a paperback, if you are not comfortable studying from a digital book. You can order it physical book from Amazon. You will have to spend approximately $40 for this. In addition to the PMBOK Guide, you should invest in a good reference book. A good PMP study guide can boost your chances of success in the exam. It would cost you anywhere from $40 to $100. There are many free mock tests available on the Internet. But you should invest in a good PMP practice tests, if you want to clear the exam in first attempt. The price of practice tests range between $60 and $300. You might want to buy additional study material like formula guide, ITTO guide, flash cards, cheat sheet etc. These are not as expensive as other item, but you should budget approximately $100 for these things. After your application is approved, you are allowed a maximum of 3 attempts at the PMP exam. In an unfortunate circumstance, if you are not able to pass the exam in the first attempt, you can go for 2 additional attempts to crack the exam. You have to pay reexamination fee each time you take the test. The cost of re-examination is shown in the table below. PMI members have to pay $275 whereas non-members have to pay $375 as the re-exam fee. After every three years, you have to renew your credential. PMI members have to pay $60 whereas non-members have to pay $150 as the renewal fee. Final Thoughts: How Much Do You Need To Shell Out For The PMP Certification? The total cost of PMP certification varies from person to person. The cost depends on the country of your residence, type of training you opt for, study aids that you buy, and a few other factors. You can refer to the following table to see two examples of the PMP certification cost. I believe, you should budget for at least $500 over and above the exam fee. Note: I have not considered cost of re-exam and renewals in the above table. If you have decided to pursue PMP, the you should start your preparation immediately. You are potentially losing money by delaying it. PMP certification is well worth the time and cost investment. It gives you a number of advantages in the job market. What is your take on the the cost involved in pursuing PMP certification? Do you think it is beyond your budget? Do you think it is worth to pursue this credential? Good breakdown on what people can expect! The exam is definitely overpriced. The PMI membership is defintely helpful however they should defintely make it a little less expensive affair. Hi Kushal, Good point. They can definitely make little less expensive. As per the last PMI annual report (2016), they were sitting on the assets worth $459 m. Being a non-profit organization, they can do many things with ths cash. They should at least make the membership cheaper and give out PMBOK Guide free of cost. BR. Yes sir. They charge a bomb but do not provide hard copy of the book. I was trying to read PMBOK6 now that I have passed the exam and it is very ugly with watermarks on each and every page making it difficult to read. BTW, you can include audit too. If you are one of the (un)lucky people who gets picked up for random audit you need to spend behind postal charges. PMI doesnot favor paper pencil test however wants people to send audit material in form of hardcopy which is truly anachronistic today. Good points. I think watermark and non-printable was not required. 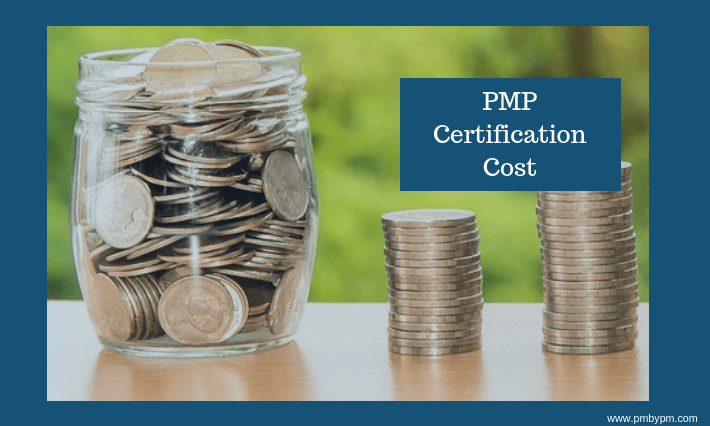 Thanks for sharing this informative blog post about pmp certificate cost. Great piece of content, thanks!